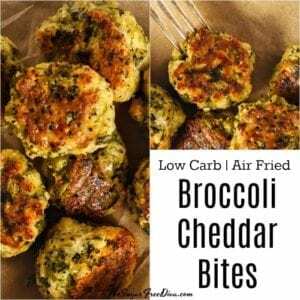 This recipe for Low Carb Broccoli Cheddar Bites is an easy appetizer to make. It is also really tasty as well. Because we are kicking off a season of parties and gatherings, I like recipes such as this one. Being air fried and low in carbohydrates makes it even better! This recipe calls for an air fryer. 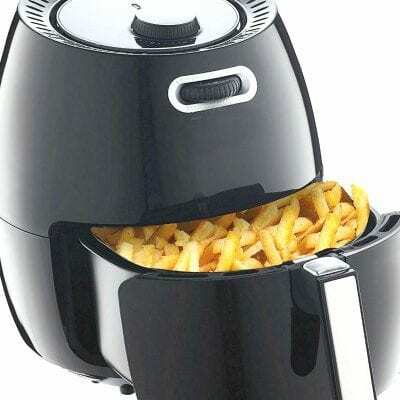 You can find a good selection of air fryers online here. 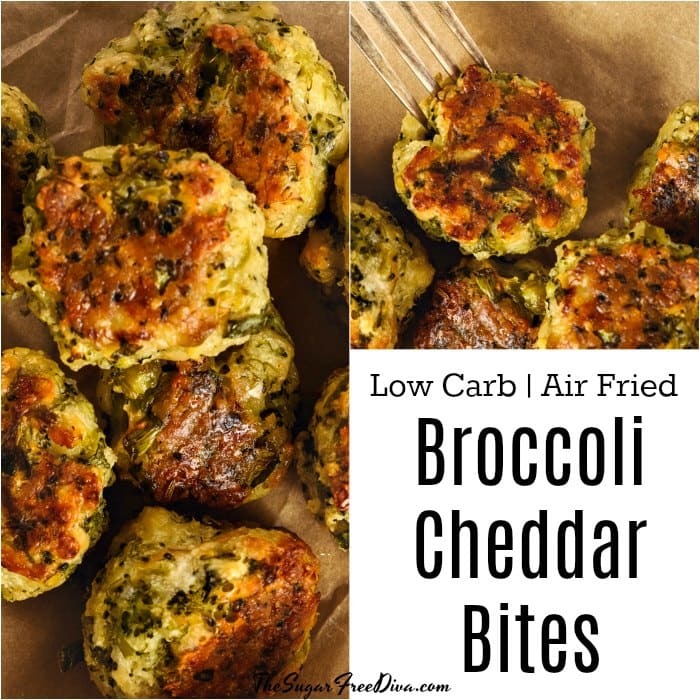 Or you can simply use an oven and bake these Low Carb Broccoli Cheddar Bites. To keep the texture intact and the bites held together, we will be using low carb bread crumbs. You can make your own bread crumbs using low carb bread. 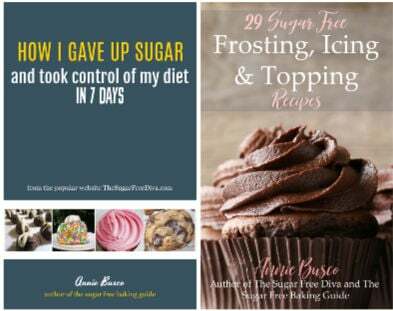 However, you can easily find low carb bread crumbs (even in gluten free varieties) online. You will also need a low carb flour- Carbalose flour- a low carb all purpose flour alternative that I use. Also, Low Carb Air Fried Avocado Fries. And, Low Carb Air Fried Cheesy Pickles. As mentioned, you will need low carb bread crumbs . 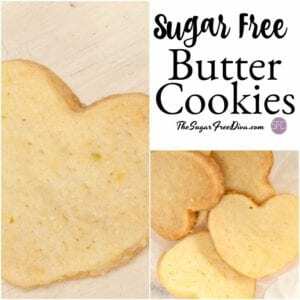 Also, you can find an air fryer online for air frying these bites. Broccoli – 2 cups chopped, cooked and drained. Can use frozen or fresh although, I think that frozen is easier to use in this recipe. 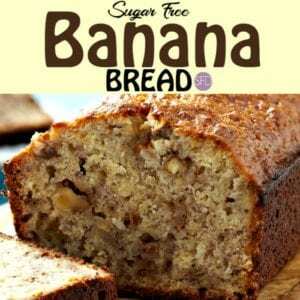 Low Carb or Gluten Free Bread Crumbs– 1 cup. .
Low Carb Flour- 1 cup. 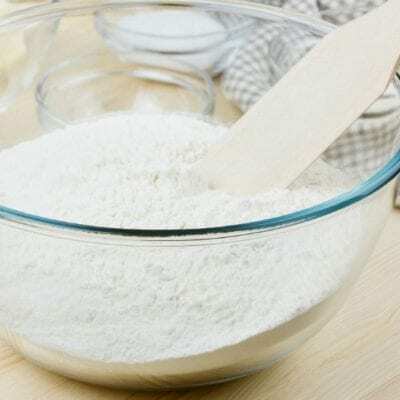 Carbalose flour- a low carb all purpose flour alternative that I use. 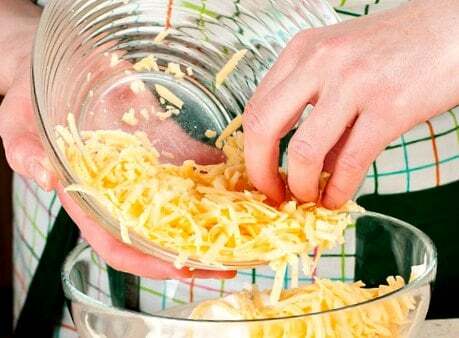 Shredded Cheddar Cheese- 2 cups (I like sharp). Seasonings to taste- as needed.Such as Old Bay Seasoning. We will be making a dredging station to make these fries. I suggest using 2 salad bowls that are shallow yet large- or something similar. Prepare your broccoli by chopping, cooking, and draining if this has not been done. Preheat your air fryer to 400. I like to spray my basket with nonstick before using it. In a mixing bowl, combine together your bread crumbs and flour. You can add any optional seasonings here. Mix in the eggs and water. Next, fold in the shredded cheese and then the broccoli. 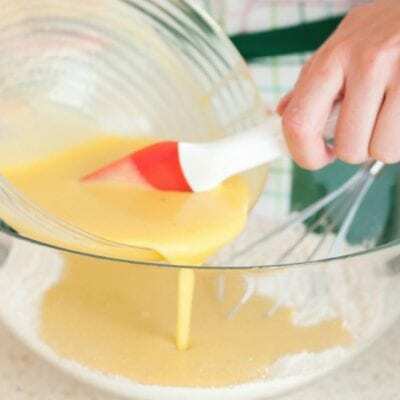 Use your hand to roll a tablespoon or so of mixture into a ball. Then press that ball somewhat flat and place it into the basket of your fryer. Do not overlap the bites in the fryer. Simply do more than one batch if needed. 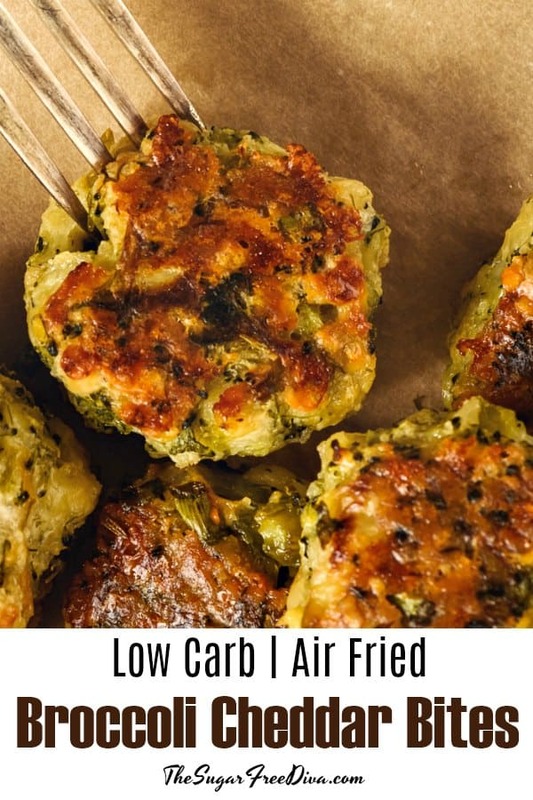 Place the basket into the air fryer and bake for 8-9 minutes, flip the bites and then continue to bake until crisp (about another 5 minutes). This is the prefect appetizer or party pleaser too. 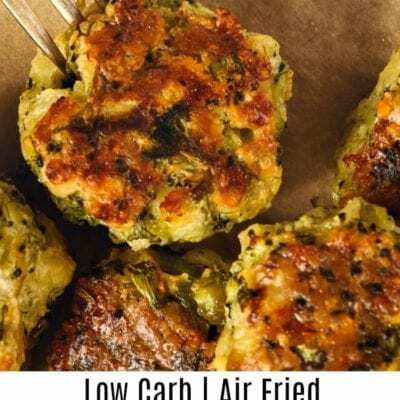 This is the recipe for how to make Low Carb Broccoli Cheddar Bites. 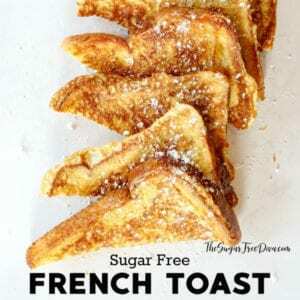 Make this in an air fryer. Preheat your air fryer to 400. Please see post for important details about this recipe. I jsut wanted to let you know that I made this the other day and it turned out fabulous!!!! Thank yo for letting me know!